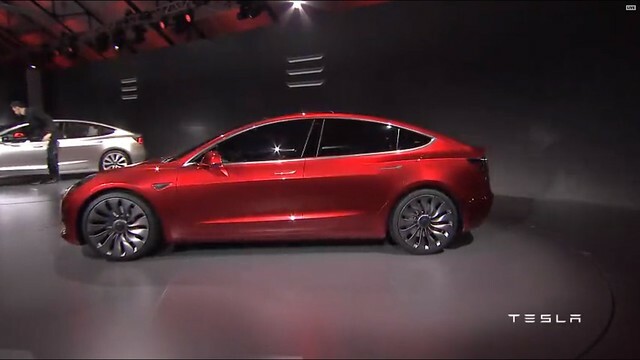 Like nearly every nerd I know, I’m excited that the Tesla Model 3 has been unveiled and that in about 18 months it will be a reality. Between it and the upcoming Chevrolet Bolt, reasonably affordable all-electric cars are becoming an actual thing and not just a weird quirk for eco-geeks, and/or status symbols for rich people. The nation needs electric cars that can go reasonable ranges, aimed at people who have less than six figure incomes. Now we’re on that path, and it makes me happy. But this doesn’t mean I’ve plunked down $1,000 to reserve my own Model 3, either. For as much as I like the idea of the Tesla 3 (and the Bolt, and other electric cars), I’m not their market, their market being people in relatively dense urban/suburban areas, whose driving needs allow them to do all sorts of things within the 200 mile recharge radius of the car. I live in rural America, and my driving needs are generally a) almost nothing because I work from home, b) long trips because I’m going somewhere far beyond my usual environs. I have almost nothing inbetween. Also it means that right now, “fast-charge” stations near me are very few and very far between. Which means that a car like a Model 3 or a Bolt, both with an about 200-mile range (longer if you pay more, less when it gets cold), fits perfectly into my “range anxiety” sphere. Driving the thing would probably make me twitchy all the time. In ten or fifteen years, when the average electric car has a 450-mile range (i.e., enough to get me to Chicago and back, Chicago being the furthest I would drive before buying a plane ticket instead) and fast charge outlets are at every gas station, this won’t be a problem. Right now, though, it’s a big nope for me. Here in 2016, the perfect electric car for me isn’t a Tesla model or the Bolt, but the Chevrolet Volt. It has an electric engine with a range of about 50 miles and then fires up a gas powered generator for a 400+ mile total range, which means that it works perfectly as an electric car for my local travel, and then doesn’t make me freak out about finding a place to charge when I’m on a long trip. I’m not going to get one of those right now either — we have two cars and they run just fine — but I’m pretty certain the next car we get won’t be gas-only. Unless something else comes out to fit our driving profile, the Volt’s in pole position for the car I’m most interested in next. Which possibly means I need to turn in my Nerd Card, as Tesla is the official automobile manufacturer of the Nerd Nation. But that’s fine. I’m a nerd, but I also live in the non-nerd world, out in the sticks. Here in the sticks, for how I live, the Tesla’s not practical. Until and unless it is, I might be a Chevy man.